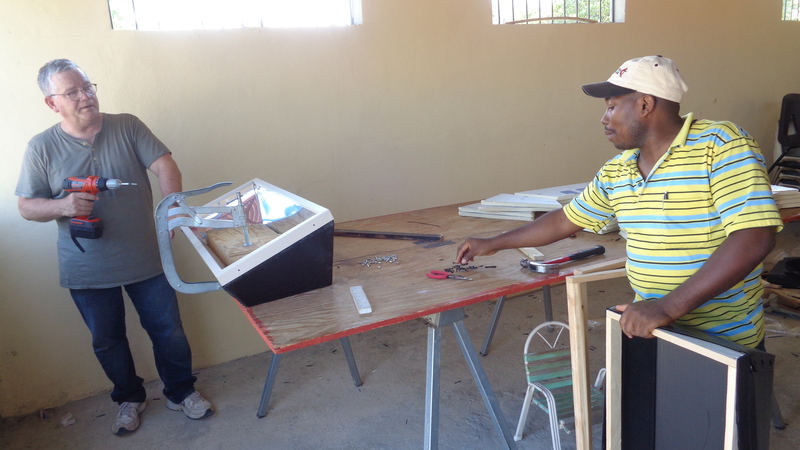 Our local solar oven team is getting ready for a trip to Montecristi where it is predicted that we may distribute 160 ovens in a week. That is a lot of ovens for us to handle. So we have been preparing by going out to Baní where we have a storage container that was originally filled with 1100 ovens when it arrived from South Dakota. Now it is nearly empty. 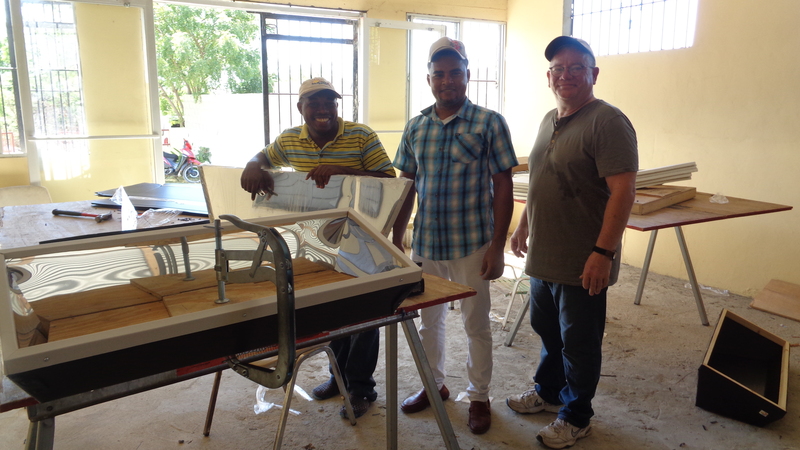 We assembled 100 of the remaining ovens ahead of time and will do the remainder in Montecristi. The ovens are stored in Baní at the church camp of the Dominican Evangelical Church. We use the cafeteria of the camp to do our assembly. It has lots of room and plenty of tables. Erasme, Mario, and I (Gordy) have become crackerjacks at solar oven assembly and we are especially productive in the wide open spaces of the cafeteria. We rarely take a break but when we do we go outside to find ripe juicy mangos all over the ground. This is mango season and the camp in Baní has an orchard of mango trees and the caretaker cannot keep up with the abundance of fruit all around him. So we each pick out a nice mango off the ground and bite into the skin to gain access to the luscious fruit underneath. 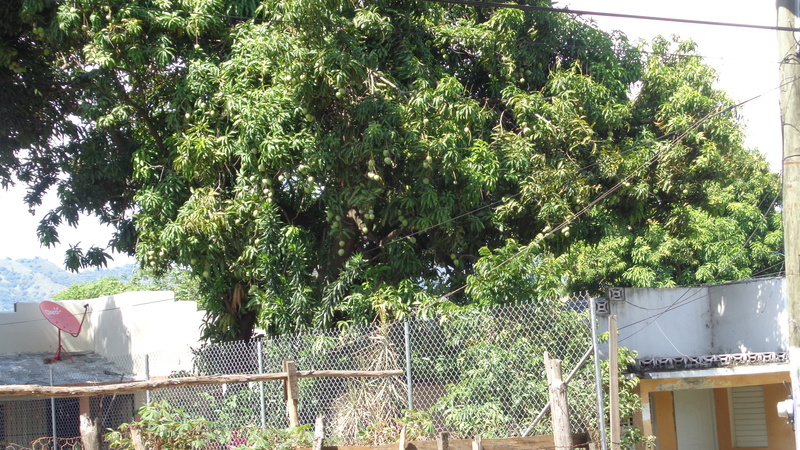 Baní is said to have the best mangos in the country. At the end of the day Mario and Erasme do a sweep of the area and bag up a harvest of mangos, bags and bags to take home. Erasme climbs a tree and shakes the branches and mangos fall like fruit bombs. Mario gathers them and backs up his van to load. I would like to participate but am so bone tired and my back aches so I wait in the shade. I can tell that this activity was one they practiced as boys growing up and their enthusiasm is that of gathering treasure. 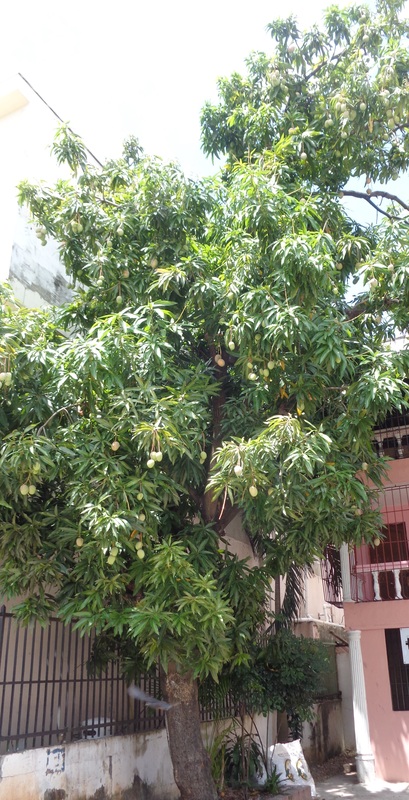 I imagine that one mango tree in its season could feed a small village. Alejandro the camp caretaker told stories of growing up on the north coast of the island. He said there was always some kind of fruit in season and as children they only had one meal per day at home. The rest of the day they ate fruit from the trees to keep their bellies full. The trees produce extravagantly, more than enough to feed the people, the birds, and even the farm animals. It is such a sublime picture of God’s abundant life, there is plenty for all and all are welcome.